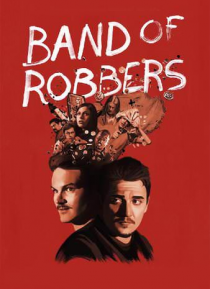 A modern day retelling of Mark Twain's iconic books, Band of Robbers is a comedic adventure that re-imagines the characters as grown men and small-time crooks. When Huck Finn is released from prison, he hopes to leave his criminal life behind, but his lifelong friend, Tom Sawyer, has other plans. Not ready to give up on his childhood fantasies, Tom forms the Band of Robbers, recruiting their misfi… t friends Joe Harper and Ben Rogers, to join them for an elaborate plan to find a fabled treasure.